A new Rb2CeCl5-based crystalline scintillator was grown by the vertical Bridgman–Stockbarger method for application in X-ray and gamma-ray detection. In the X-ray diffraction (XRD) analysis, most peaks of the grown crystal were in good agreement with the database of Rb2CeCl5, whereas a few peaks of Rb3CeCl6 were also identified. The photoluminescence and scintillation properties of a Rb2CeCl5 crystal were studied under excitation by UV light, X-rays, and γ-rays. 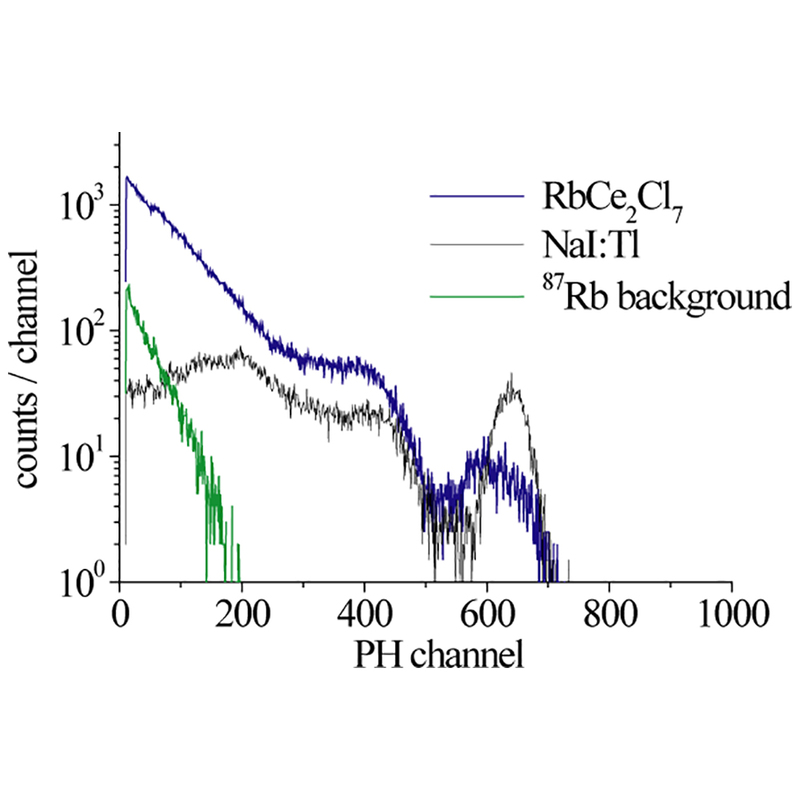 The photoluminescence and scintillation spectra showed an emission band peak at 370 nm, with a shoulder at around 350 nm, which was assigned to the 5d1–4f (2F5/2, 2F7/2) allowed transitions of Ce3+. The calculated scintillation decay time constants were approximately 24 and 153 ns. The scintillation light yield reached 36000 photons/MeV with an energy resolution of 15% at 662 keV.